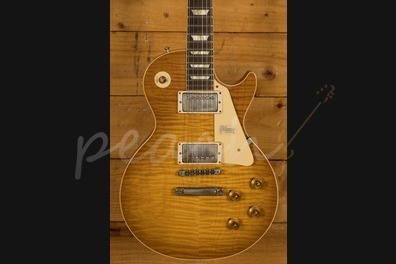 1959 is considered to be the golden year of Gibson Les Paul production, with less than 650 guitars manufactured, the fabled '59s found favour with the likes of Jimmy Page, Jeff Beck, Duane Allman and Eric Clapton. 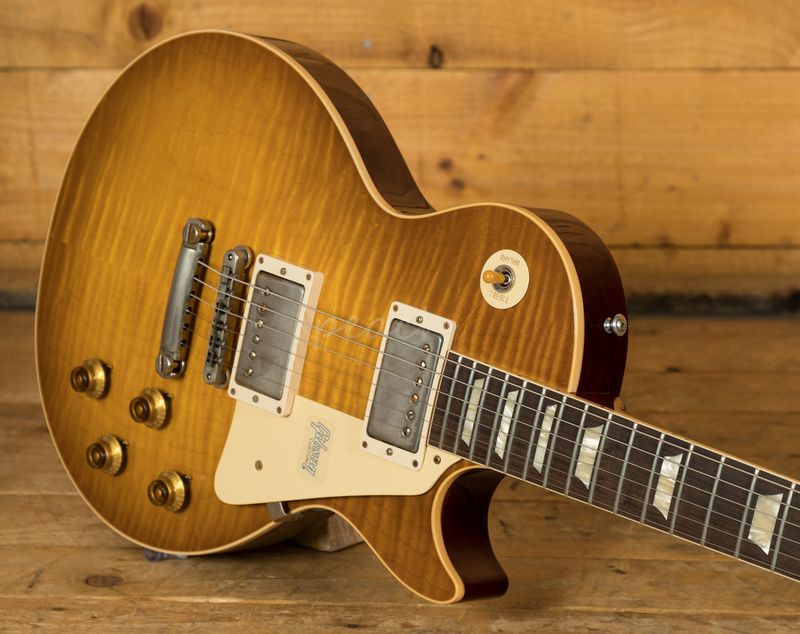 2019 marks the 60th Anniversary of these iconic guitars, and to celebrate, Gibson Custom have released a series of '59 Les Paul Standards. 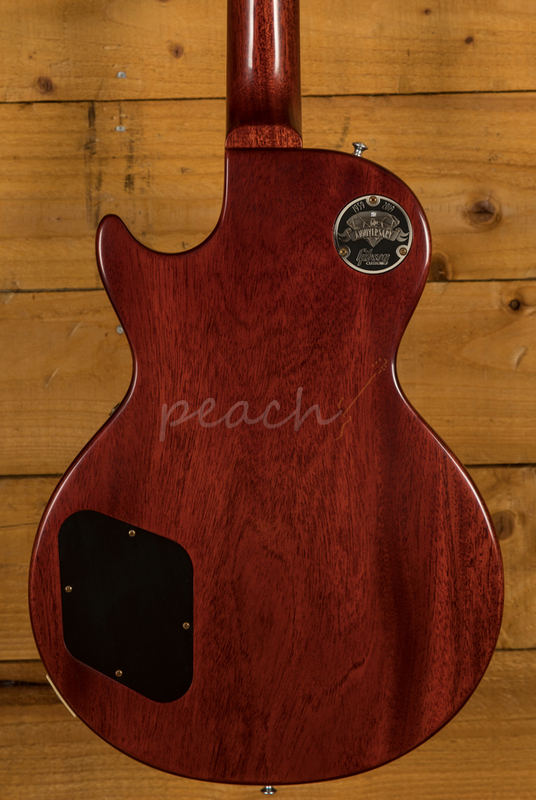 With a Mahogany body, this Les Paul benefits from a figured Maple top for the ultimate tonewood partnership. 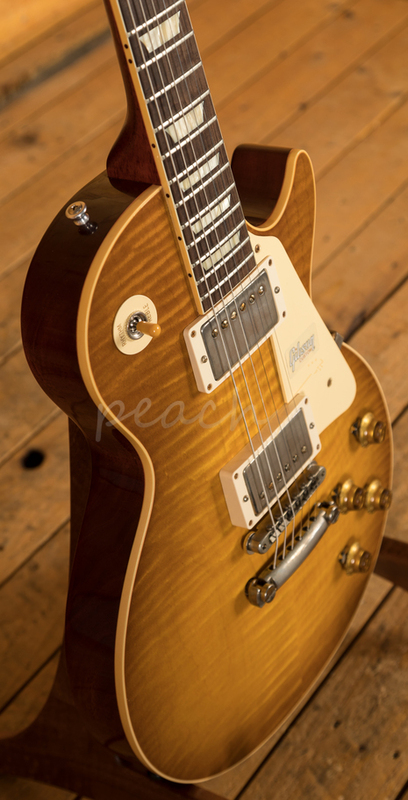 Rich and super resonant it offers premium tone and timeless aesthetics, while the Golden Poppy Burst VOS finish looks a million dollars and really allows the wood to breathe and the natural tone to sing through. With hide glue construction, this Les Paul offers true vintage tonality. The solid Mahogany neck is topped with a crisp Bolivian Rosewood fingerboard with classic Gibson Trapezoid inlays, this guitar looks every bit the real deal. 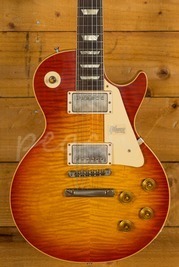 With a 24.75" scale length and medium jumbo frets, it retains that classic Les Paul feel. The no wire ABR-1 bridge and light weight tailpiece offer an authentic vintage vibe. 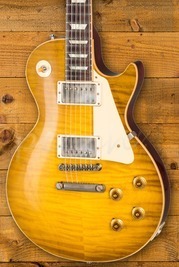 The defining feature of the Gibson Custom '59 Les Paul is the custom wound Gibson Custom Bucker pickups. 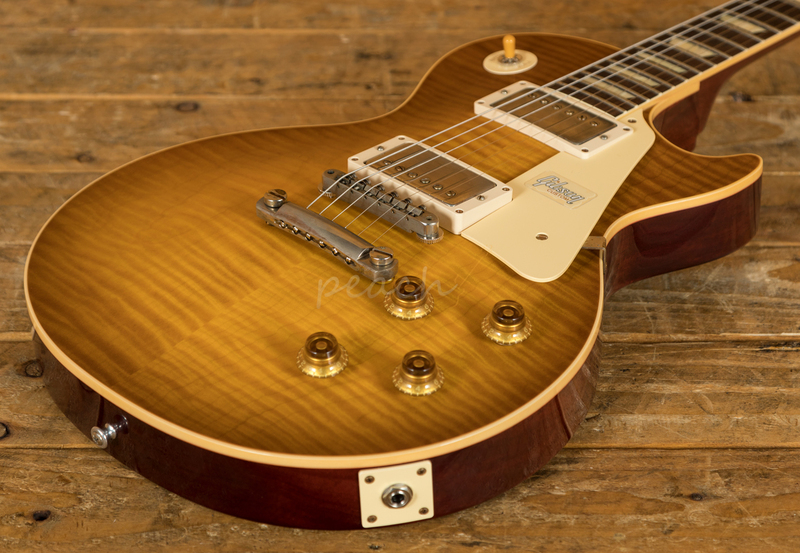 According to Gibson these are some of the most historically accurate PAF clones on the market, with an ultra-rich harmonic quality; it's as close as you can get to the classic Les Paul tone. 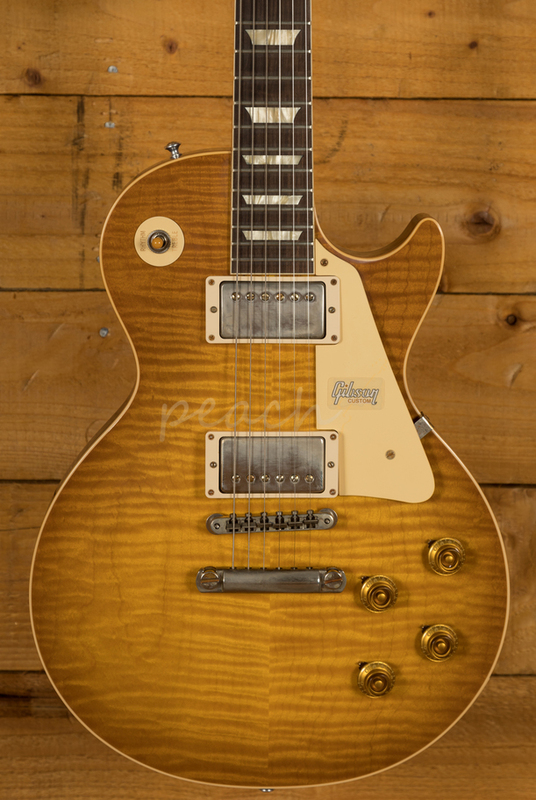 Perfect for collectors and player alike, this Gibson Custom Les Paul is testament to the timeless design crafted by Les Paul all those years ago.